Enter your phone number below and we’ll text you a link to download the app! Enter your email below and we’ll let you know when we launch. We’ve sent you an invite link to download Sessionz. We’ll let you know when the Android app is launched! Meet passionate hosts ready to share their knowledge. 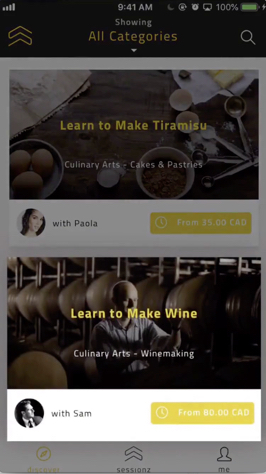 Get taught and mentored on business, music, fitness, arts and more. We’re changing the way you learn. Book time with a skilled and knowledgeable host. 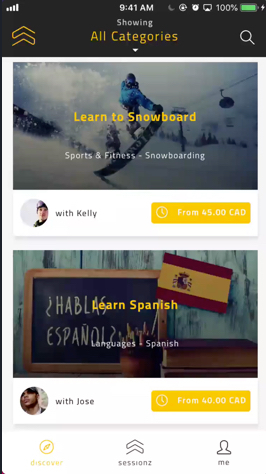 Whether you want to pursue a new hobby, improve a skill, or just start something new, Sessionz will impact how quickly and effectively you learn. Our hosts will coach, teach, mentor, inspire you in ways that will positively change you. Find and book sessions on any topic with knowledgeable and passionate hosts. Our staff pre-screens all listings. Access all the session and host details you need to know. Submit your request and await host acceptance for the session to get confirmed. Easily track requests and manage bookings. 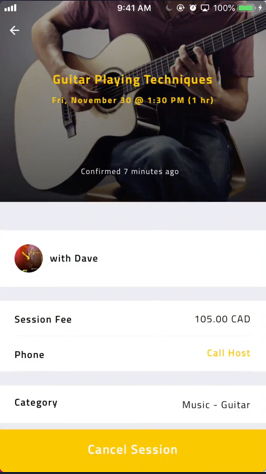 Get a full refund for cancellations made more than 48 hours before your session. When a host accepts your request, we’ll notify you, along with the exact address and other important details. We work hard to prevent fake account creation and block abusive users. We perform ongoing monitoring of listings and do reference checks. 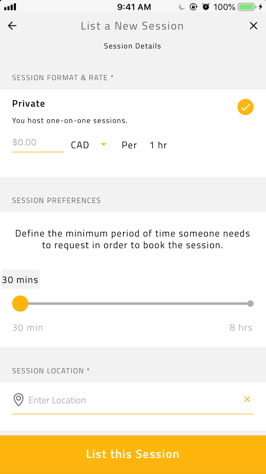 Report issues about your confirmed session within the app before, during, and after. We’re dedicated to helping! We’ll be performing extensive identity verification and background checks. All user profiles and listings will feature verified badges. Share your talent or knowledge areas and make extra income while helping others realize their potential. List a session defining all important info. Our staff reviews listings before publishing. 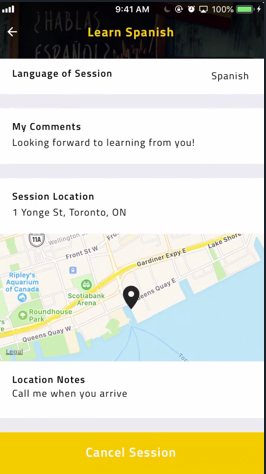 Once published, you and your session listing will be discoverable on the app. Get notified on new requests. Track and manage bookings with ease. Once you accept, we’ll collect payment ready for your payout. Cancel if you really need to. 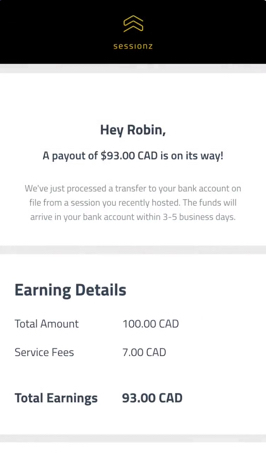 After hosting a session, we’ll transfer your earnings straight to your bank account. 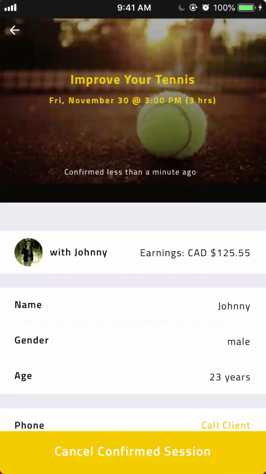 The app delivers a meaningful way to earn extra money, while sharing your expertise to people looking to learn from you. Host as much or as little as you want. You control your schedule and can block off time in seconds. What’s your rate? 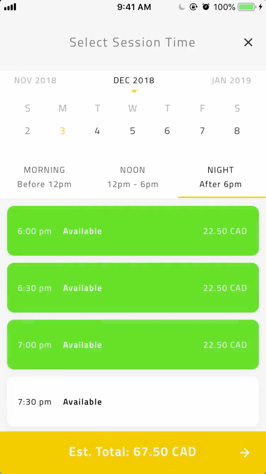 What’s your minimum booking time? Where are you hosting? You decide. 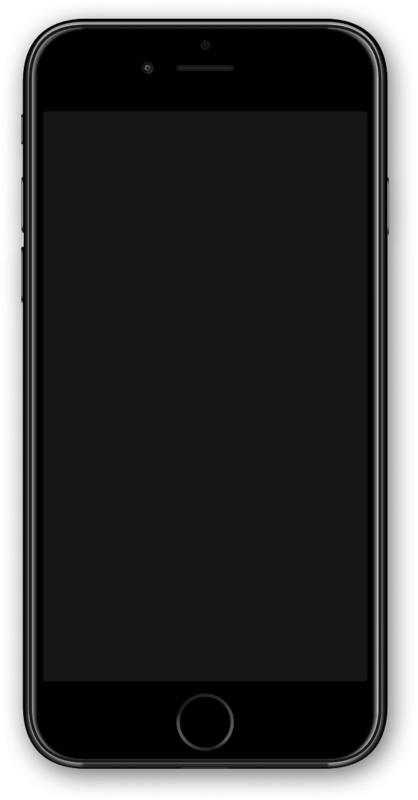 You’ll be notified about every session request. Nothing is confirmed until you accept. The app has a smart calendar to make scheduling easier. Receive payments without stress. Want to list an entire learning area, or one focused topic? Monetize your knowledge and talents on Sessionz. Questions? Visit our Help Centre. Our team is also available 24/7 for assistance to our members. *This calculation is based on your rate in your local currency. As a host you get to choose your rate, availability, and minimum booking time. Headquartered in Toronto, Canada, Sessionz is a forward-thinking technology company with an international presence. Our mission is to make knowledge more accessible, by building a network of knowledgeable hosts online. We believe that “knowledge is power,” and that its transfer is key to human evolution. Our vision is to strengthen and improve society through innovation, creative thinking, and education. By simplifying the knowledge transfer process and bridging the gap between technology and the real world, we can change the way people learn, live, and work – maximizing inspiration and creating a world of opportunities for all. Tell us where you want to see Sessionz launch next! We’ll let you know when Sessionz launches in your city! Thriller Innovations, Inc © 2018 All rights reserved. Sessionz © 2018. All right reserved.